Mangaluru, March 31, 2019: Senior Congress leader and State Minister for Water Resources D K Shivakumar and AICC General Secretary and Karnataka Congress in-charge K C Venugopal are set to campaign in Dakshina Kannada Lok Sabha constituency in the next few days in order to ensure a win for the Congress candidate Mithun Rai. The Congress which has fielded a youth candidate for the very first time is hoping to make it this time after seven straight defeats in the past 28 years. 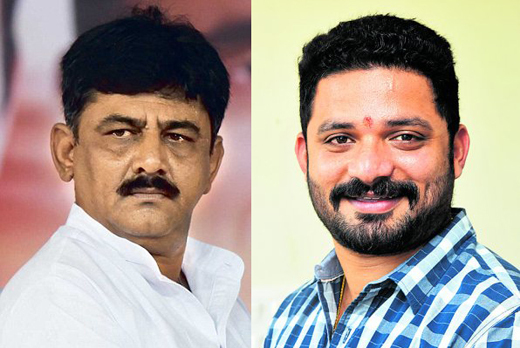 It is believed that it was DK Shivakumar along with Venugopal who convinced the high command to field Mithun in Dakshina Kannada constituency where the Congress badly needs a win to regain its lost glory in the region. The Congress is now hoping that the strategy to be adopted by DK Shivakumar to particularly woo voters in Sullia, Puttur and Belthangady which has maximum Vokkaliga and SC/ST populations and are considered BJP bastions, would be helpful for the party. Shivakumar and K V Venugopal are expected to arrive in the district in the next few days.